You will need Xcode and Node installed on your machine. In this post, you will build a realtime iOS application involving a watch and an iPhone. We will be creating a realtime todo watch app with an accompanying iPhone app. A Pusher Channel app. You can create one here (take note of your app keys as you’ll need them later). Xcode installed on your machine. You can download here. Node JS and NPM (Node Package Manager) installed on your machine. Check here for the latest releases. Here, we added a single endpoint that will add todo items. Our watch app will make use of this API and send a todo trigger to Pusher. The localhost runs on port 5000. Open your Xcode and create a new project. You will be presented with a template wizard. Choose watchOS and select iOS App with WatchKit App. Next, you enter a product name - say TodoWatchApp, team, and organization details. Choose Swift as the default language and choose Next. You will then be asked to choose the directory where you want the project to be created. After this, you’re good to go! Here is how the directory of your project should look. This is quite different from when you are developing just the main app. We have three folders, one for the phone app and two for the watch. 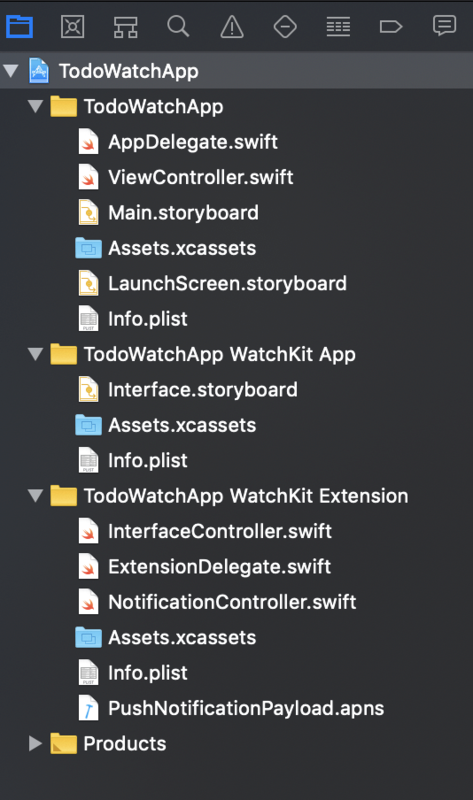 The TodoWatchApp WatchKit App folder is where we design the interface for the watch while the TodoWatchApp WatchKit Extension is where we will write the logic and view controllers. So, we will start with the phone app. The phone app will listen to triggers from Pusher. These triggers will be sent by the app. First, we will need to add the Pusher dependency. Follow these steps to set it up. We only added the dependency for the main app as the library does not support watchOS yet. You can follow this GitHub issue to learn the latest on that. After the installation is complete, close your project -TodoWatchApp.xcodeproj. Still in Xcode, open TodoWatchApp.xcworkspace located in the folder of your project. This was generated after you installed your dependencies. Set the controller to be the initial controller. You can do that in the identity inspector pane. 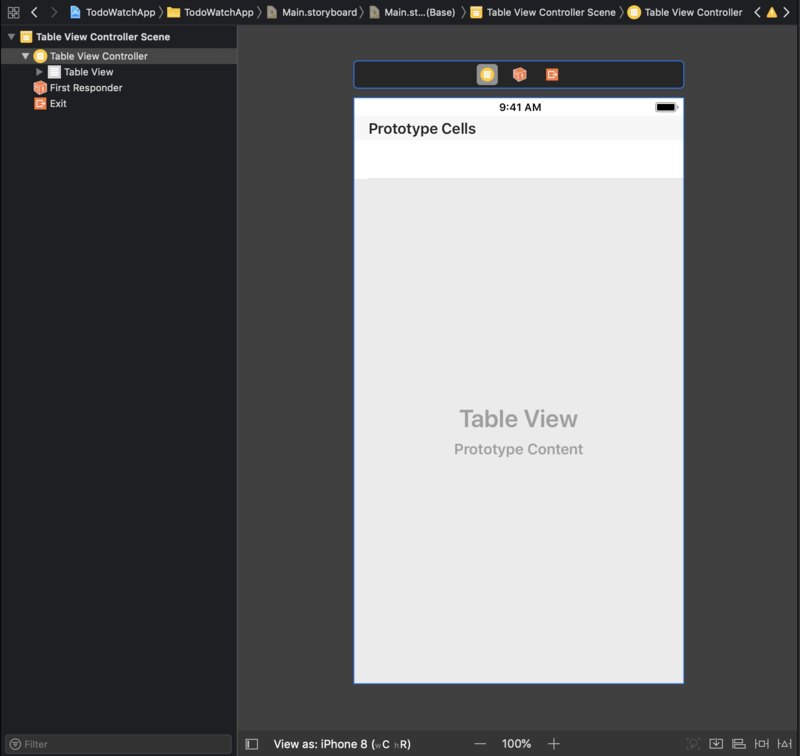 Go to your ViewController.swift class and change the class it is extending from UIViewController to UITableViewController. Next, select the Table Cell which is a grandchild of the Table View Controller element, in the attributes inspector, enter an identifier of your choice or better still, use cell. This is the unique name used to identify the row name in the Swift file, later on. @IBOutlet weak var textView: UILabel! Be sure to link the @IBOutlet variable from your storyboard to the file. Let us go through what we have here: first, we declared a Pusher variable and our list. In the viewDidLoad method, we call the setupPusher method which we will look at shortly. This method initializes Pusher and listens to the todo channel for updates. With this, we are done with our phone app. We will now build the watch app. 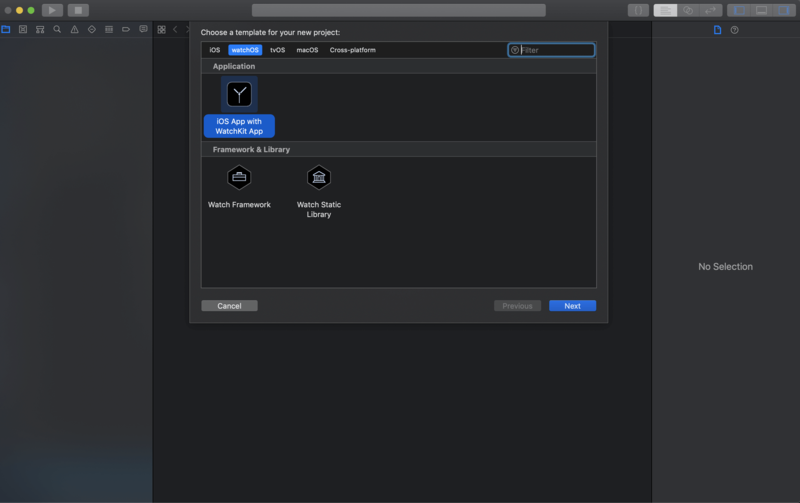 Go to the TodoWatchApp WatchKit App folder, open the Interface.storyboard. Delete the controller scenes except for the Interface Controller Scene. Now drag a group element library to the watch screen. Set the orientation of the group to horizontal. Next, add a label and a button as children to the group. We will use a custom icon for the button. You can download the icon here. Open the Assets.xcassets in the TodoWatchApp WatchKit App folder and import the new image asset. Make sure it is named add_item. After importing, go back to the Interface.storyboard , select the button, and select the icon as the background in the identity inspector. Clear the title on the button, then set the width and height to fixed using 20 as the value. let url = URL(string: "http://127.0.0.1:5000/addItem")! Here, when the add button is clicked, the watch opens the input controller where you can either handwrite your todo, or choose from the suggestions, or dictate it. When you confirm your text, the watch sends the item to the server. You can now run both applications on the simulator. You can select the WatchApp build so it runs both simulators at once. Here, we have been able to successfully build an iOS app to show realtime functionalities between the main app, the watch app and, Pusher. You can still play around this in the GitHub repository.